The official launch of the Samsung Galaxy S7 is less than two weeks away, and with the rumor train chugging along at full steam, we’re slowly but surely getting a clear idea of what to expect on February 21. However, before we move on to what is soon to be Samsung’s latest and greatest, we thought it would be a good idea to take a look back at its predecessor. The Samsung Galaxy S6 featured one of the most radical changes that Samsung has ever made to their flagship Galaxy S line, and with a quite a lot being new, there is some curiosity with regards to how the device has aged since its release last year. That’s what we find out, in this quick look at the Samsung Galaxy S6 – now! The drastic changes Samsung introduced with the Galaxy S6 were seen right off the bat, with the company finally giving users what they wanted with a more premium metal and glass build. The use of these new build materials not only makes for a device that is still one of the best looking in the market, but also helps the smartphone hold up much better over time when compared to its plastic-clad predecessors. Of course, an additional $100 will get you the Samsung Galaxy S6 Edge with its unique curved edges to the display that spill over on the sides, and is personally the one I prefer. Granted, accusations of the design being “inspired” by one of its biggest competitors were flung around, and while there are admittedly some similarities, the Galaxy S6 is still a Samsung smartphone through and through, while also being a far better designed smartphone that year’s past. While many appreciated the updates to the design and build quality, it wasn’t without its detractors. The new design language did result in previously staple elements like expandable storage and removable batteries going by the wayside, which understandably caused quite the uproar among users who took advantage of these features. Obviously, the story is pretty much the same to this day, with users having to opt for for the highest 128 GB built-in option to alleviate any storage concerns, but that, did of course, require paying the resulting hike in the price point. With replaceable batteries no longer an option, users had to resort to fast charging or wireless charging to stay topped up. Both are fantastic features, the Galaxy S6 did lose some of its luster when you had to charge it multiple times a day. The Samsung Galaxy S6 didn’t offer a particularly impressive battery life when it was initially released, and that unfortunately holds true even today. However, this situation could potentially improve with the upcoming update to Android 6.0 Marshmallow. For now, if you are looking for a Galaxy S6 with good battery life, the Active iteration, with its much larger battery, is the way to go, but even its availability is limited by its AT&T exclusivity. Speaking of updates, the Galaxy S6 has received quite a few over the course of the year, including the official update to Android 5.1.1 Lollipop. The Apps Edge feature that was initially exclusive to the Samsung Galaxy S6 Edge+ also made its over to its smaller sibling, which was great news, given that this is the most useful Edge feature on offer. The update to Android 6.0 Marshmallow is also slowly starting to make its way to users, A beta version of the software is also floating around for those who are interested, and Nirave has already given us a look at what this updated software package brings to the table. Samsung also made a lot of its improvements to the software experience available with the Galaxy S6, but despite that, it’s still not one of my favorites in terms of aesthetics. However, what was a welcome addition and one of the best parts of TouchWiz now is the robust Theme Store, and being able to cater the look of the user interface to how you want it does make the whole experience feel a lot more bearable. The 5.1-inch Super AMOLED display with a Quad HD resolution remains just as gorgeous as it has ever been, and is another great example of how well this phone has held up, despite being one of the earlier flagship releases of 2015. This is still one of the best smartphone displays currently available in the market, and everything from reading text and watching videos to playing games continues to be as enjoyable as it did when the phone first came out. As far as performance is concerned, the Exynos 7420 has proven to be a beast of a processor, and in my experience, everything seems to be as snappy and responsive as it was initially. Applications and games continue to load smoothly, but the aggressive RAM management that has become a well known issue is still unfortunately still there. The fingerprint scanner also doesn’t feel as fast as before. That’s not to say that the fingerprint scanner isn’t as accurate or reliable as before, but when compared to the implementations found with the more recent smartphone releases, the Galaxy S6 does now feel a step behind. Of course, one of the best features of the Samsung Galaxy S6 is the camera. The 16 MP rear shooter is capable of taking amazing photos, and the Galaxy S6 camera can still be considered one of the best smartphone cameras currently available, which is certainly saying something, given how a lot of OEM flagships in 2015 featured camera experiences that were much improved in their own right. The camera is a pleasure to use, with its clean and intuitive software that certainly does not lack in features. Samsung also makes launching the camera a breeze, requiring only a double tap of the home button. I began to once again appreciate how convenient this shortcut was when I started to use the Galaxy S6 again, and a quick method to launch the camera like this is something that I’m hoping a lot more OEMs wills adopt this year. 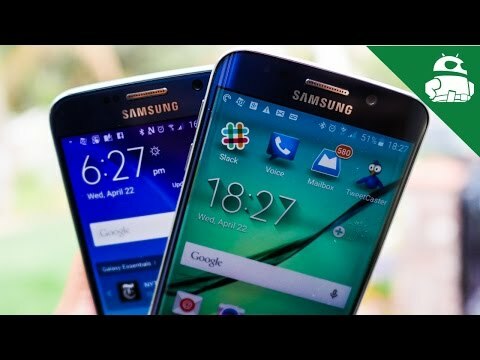 So there you have it for this look back at the Samsung Galaxy S6! It may not have always been the case with Samsung’s flagship offerings, but the Galaxy S6 has certainly managed to stand tall against the test of time. The design and build quality are fantastic, the display is beautiful, the processing package continues to deliver, and what you have here is still one of the best smartphone cameras around. These statements are not usually easily made when considering a device that is a year old, and even more so in the case of previous Samsung devices. If nothing else, the Galaxy S6 is a testament to the fact that Samsung began to right the ship in 2015, and that is something we are hoping to see continue in just a few days from now.